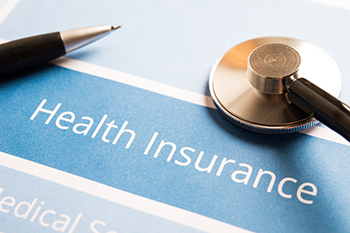 In health insurance policies, there are clauses such as ‘deductible’ and ‘co-pay’ which limit the liability of the insurance company to a pre-determined extent as specified in the insurance policy document. In health insurance policies, there are clauses such as ‘deductible’ and ‘co-pay’ which limit the liability of the insurance company to a pre-determined extent as specified in the insurance policy document. These are important clauses in health insurance as the claim of the insured will be impacted by the ‘deductible’ and ‘co-pay’ clauses. Let us look at what these clauses mean and how they impact the settlement of claim. A deductible is an amount the insured needs to pay before the insurance company becomes liable to pay up. Hence, if the policy document of an insured person specifies the deductible as Rs20,000, the insurance company becomes liable for payment only when the amount exceeds Rs 20,000. For example, if the claim submitted by the insured is for, say, Rs 30,000, the insurance company will be liable to pay only Rs 10,000 (i.e. Rs 30,000 less deductible of Rs 20,000). However, if the claim is for Rs 15,000, the insurance company is not liable to pay any amount at all. There are high and low deductible insurance policies available from the insurance companies. The high deductible policies are available at a lower premium, while the low deductible policies are available at higher premium. The co-pay clause is different from the deductible as the latter is a one-time annual cost for the insured, while the co-pay is a fixed amount that is payable by the insured every time the he/she submits medical claim. The amount of co-pay is outlined in the policy document and only when the insured pays up the pre-determined co-pay amount, the insurance company pays the balance amount of expenses claimed.